In 1995, it was thought to be over. After 13 years, Skinny Puppy was dissolving and it seemingly came to a close with the overdose of Dwayne Goettel. In the years that passed between now and then, a multitude of side-projects by members of the legendary act resurfaced. Download, The Tear Garden, OhGr, Ritalin and Plateau gave solace to the act that ended abruptly. Then in 2001, the unthinkable happened. Skinny Puppy reunited for a one-off performance at the Doomsday Festival in Germany. 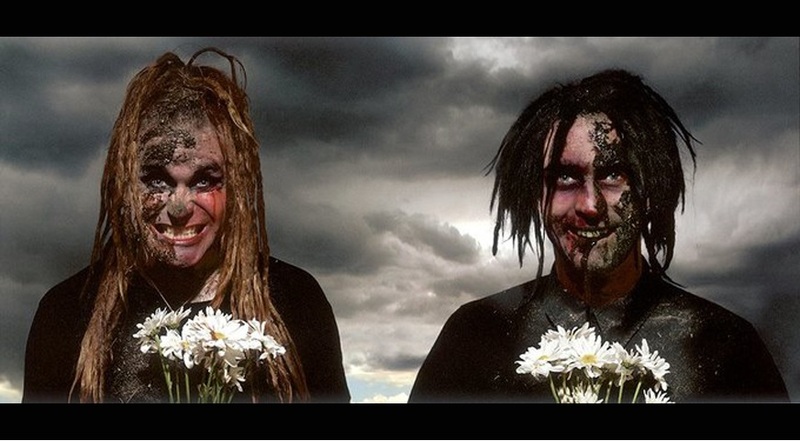 Thanks to the persistent promoters with big dreams, the two remaining members of Skinny Puppy reunited and chose to move forward with the music that had been buried alive. SLUG: At what point did you decide to resurrect Skinny Puppy? Skinny Puppy: Well there were these two German guys calling me each year starting in about 1997. Originally, I thought it was just a joke. An then they called me the next year and they said, “We’re really serious. We want you and Ogre to regroup and be just like how you were in the beginning days and perform some songs and be how you originally were and we’re willing to do whatever it takes.” And so I said, “You guys are crazy.” Then I ran into Ogre at a concert and told him about these guys and I thought he’d find it just as funny as I did. He said, “Gee that sounds sort of interesting.” I understood at that point that maybe it wasn’t a bad idea. Afterwards, we felt very energized and healed, putting water under the bridge, like it was a magical journey to get there. After we had done the show, we were sitting on a train to Prague and we said, “That was so much fun, we’ve gotta do some more. Maybe it would be more fun to not just do old, looking-backward shows, but maybe make a new album and see where we would be now.” So that is where we came up with the idea to move forward. SLUG: How do you compare Skinny Puppy 10 years ago to where it is now? Skinny Puppy: We’d have to go back further than 10 years ago for me to compare. The good Skinny Puppy was where we were being very functional, to modern-day functional Skinny Puppy again. Ten years ago, we were not a functional Skinny Puppy. We were making the album, The Process, and we were having a horrible time—not so much in making the album, but with ourselves. That was the difference between 10 years ago and today. But if you go back 15 years ago and today, it really isn’t soo much different, in the sense of how important the music is to us, and how important we like to make Skinny Puppy music. We’re probably its first fan, its biggest fan. SLUG: So, looking back, what do you see as maybe high points and low points? Skinny Puppy: This whole thing has been a high point. When we started making music to begin with, we didn’t really make music for people to enjoy. We were just making music for ourselves. Then people just quickly picked up the pace. We’ve had some mishaps along the way—we’ve lost our best friend, but we carry him with us and feel that he would be supportive of where we’re at now. I think things were left in a bad light. SLUG: Did you ever imagine in 1995 that things would ever look up again? Skinny Puppy: No, to be quite honest, 1995 was a devastating year for us, and I was faced with this decision to either give up or pick it up for both of us. I’ve been pretty much running Subconscious in the entire direction of that label myself, ever since. I think we’ve had 30 releases since then. So, it has been just about working and working and working. I never thought I would have the chance to do Skinny Puppy again. So, when given the chance, it’s certainly more than I have a great amount of respect for. It’s a very good place to be after you’ve gone through the gamut. SLUG: The Greater Wrong of the Right has so many contributors. How did you decide who you wanted to participate? Skinny Puppy: Friends. First and foremost, the prerequisite was that you understood Skinny Puppy and that you could verbalize that. I limited it to working with one person at a time on each track and not making it an overwhelming situation with too many cooks in the kitchen. Therefore, sort of leaving the doort open to see which sound would be the most inspiring, but as it turned out, they all were the most inspiring because there were so many different avenues to go down. In the end, it made logical sense that when it came together it was discollective which we’d be able to stand up and bring some goods to the table. SLUG: How has the reaction been with the tour? Has it been satisfying? Skinny Puppy: Yeah. It’s nice to see a varied audience that consists of young and old, male and female, thick and thin, goth and whoever. There’s no predominant factor and it’s nice to see that. Unpredictable. SLUG: What plans do you have when you return from the tour? Skinny Puppy: More new albums. More new Skinny Puppy. SLUG: What about the side-projects? Skinny Puppy: Right now we’re having too much fun with Skinny Puppy. 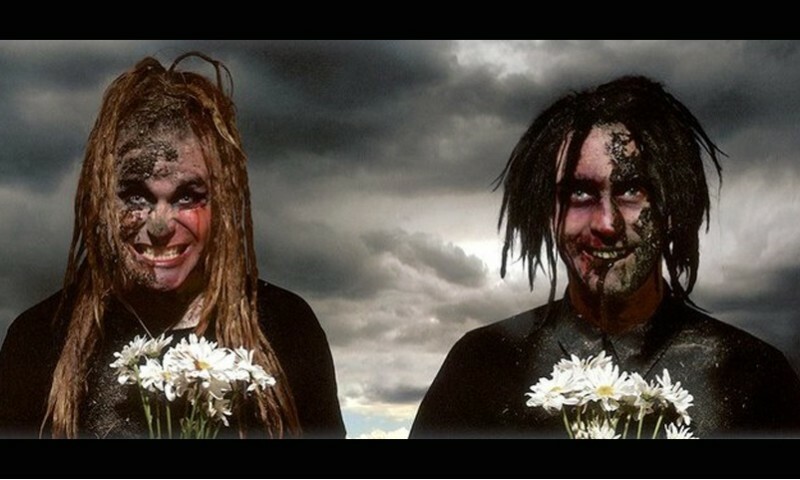 But I think people would have been more than happy that we are dedicating 100% of our time in Skinny Puppy. Experience the blood, screams and mayhem of this immortal act on Wednesday, November 24th In The Venue. For all other inquiries, refer to www.skinnypuppy.com.